IKEA is having an all-you-can-eat buffet for Easter. 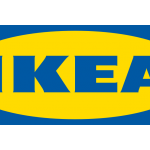 The annual Easter Påskbord is scheduled to take place on Friday, April 5, at IKEA locations around the US. The buffet will feature both chicken meatballs and the popular Swedish meatballs, which will be served with lingonberry jam. The price for the buffet is $16.99 per person and $4.99 for kids 12 and under.